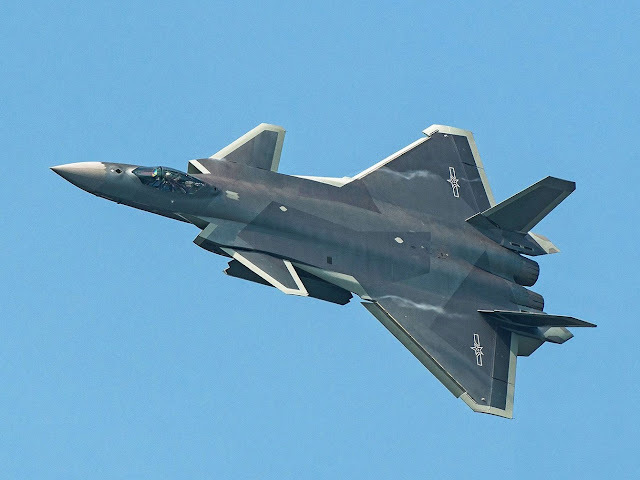 “The Military Balance” offers a striking example of the progress China has made: in two years’ time, if not before, America is likely to lose its monopoly of radar-beating stealth combat aircraft with the introduction into service of China’s Chengdu J-20. This has a much longer range than America’s new F-35 fighter and will be a serious threat to American warships in the Pacific. At least as worrying for American commanders in the region is the dramatic upgrading of China’s inventory of air-to-air missiles (AAMs). The short-range PL-10, which was introduced in 2015, is regarded by military analysts as comparable in performance to Western equivalents, such as the Sidewinder II. This year, the PL-15, a radar-guided “beyond visual range” missile (BVRAAM), should enter service. Carried by a J-20, the PL-15 can destroy an aircraft 50km away that is trying to evade it. “The Military Balance” believes that a version of the missile is in the works that will have a cruise speed of Mach 3. It is similar in design to the European Meteor, the best BVRAAM in the West’s inventory, which is only just entering service. We should roll up our sleeves and get ready to do hard work.